Wayne is the Principle Physiotherapist at Health on Grange. After playing professional county cricket with Nottinghamshire in the UK, Wayne graduated and moved over to Australia. He has worked exclusively in Private Practice, treating sports injuries, post-operative rehabilitation patients and general musculoskeletal injuries. 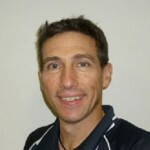 Wayne is a titled APA Sports and Musculoskeletal Physiotherapist and a current member of the SPA and MPA. Having worked with the Port Adelaide Magpies in the SANFL, he is now working with the South Australian Cricket Association being involved with covering cricket matches, treatments and pre-season screenings for players. In 2008, he published a paper regarding shoulder injuries in the Journal of Sports and Orthopaedic Physical Therapy – “Diagnostic Accuracy of Clinical Tests for Superior Labral Anterior Posterior Lesions: A Systematic Review”. He has also been involved with the University of South Australia as a clinical educator and lecturer in their physiotherapy program. He has a special interest in shoulder injuries and rehabilitation, dry needling and biomechanical video/postural analysis. Corinne graduated from the University of South Australia in 2000 with a Bachelor of Physiotherapy and spent her first year developing her skills in all areas of Physiotherapy in country Victoria. It was here she cemented her passion for musculoskeletal and sports physiotherapy. Corinne continued this interest working in private practice in Melbourne for two years and then travelled overseas where she worked for three years in London and around England. Following her six years away, Corinne returned to Adelaide in 2007 and has continued to work private practice for the last 10 years. She has vast experience in private practice with a special interest in sporting injuries especially running and cycling, spinal pain (neck pain and sciatica), shoulder injuries and headaches. Corinne has a strong commitment to professional development and using evidence based treatment techniques in her practice. Corinne has continued to update her skills through regular professional development courses including Level 1 & 2 Sports Physiotherapy Courses, Acupuncture, Dry Needling, Level 1 Women’s Health and Incontinence Course and extensive Pilates training over 19 years, with Dance Medicine Australia and the Australian Physiotherapy Pilates Institute, utilising the mat, ball and equipment. 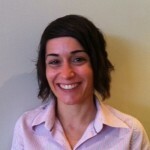 She also has experience in biomechanical and postural analyses utilising computer software. In her spare time Corinne enjoys basketball, tennis, road cycling, hiking, gardening and cooking.